Last week’s provincial budget, his first by our MPP Vic Fedeli as Minister of Finance, was delivered at Queen’s Park. The Chamber of Commerce is pleased to see that reasonable steps are being taken to balance the fiscal sustainability of the province and a plan to return to a balanced budget by 2023-2024. Investments in skills and workforce development are very important to our members for hiring and retaining employees; as it is currently the number one factor indicated in their ability to remain competitive. Infrastructure investments are also critical and the Chamber was pleased to see investments in not only roads, bridges and electricity but also the critical infrastructure investments to address the broadband and cellular deficit. 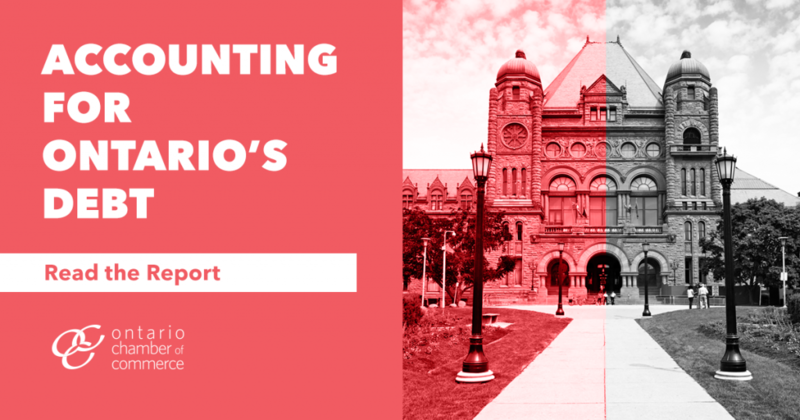 With a number of measures already aimed at reducing red tape and growing the economy through acts such as Making Ontario Open for Business Act, 2018, the Access to Natural Gas Act, 2018, and the Restoring Ontario’s Competitiveness Act, 2019, the budget will ensure that businesses can compete on the global stage. 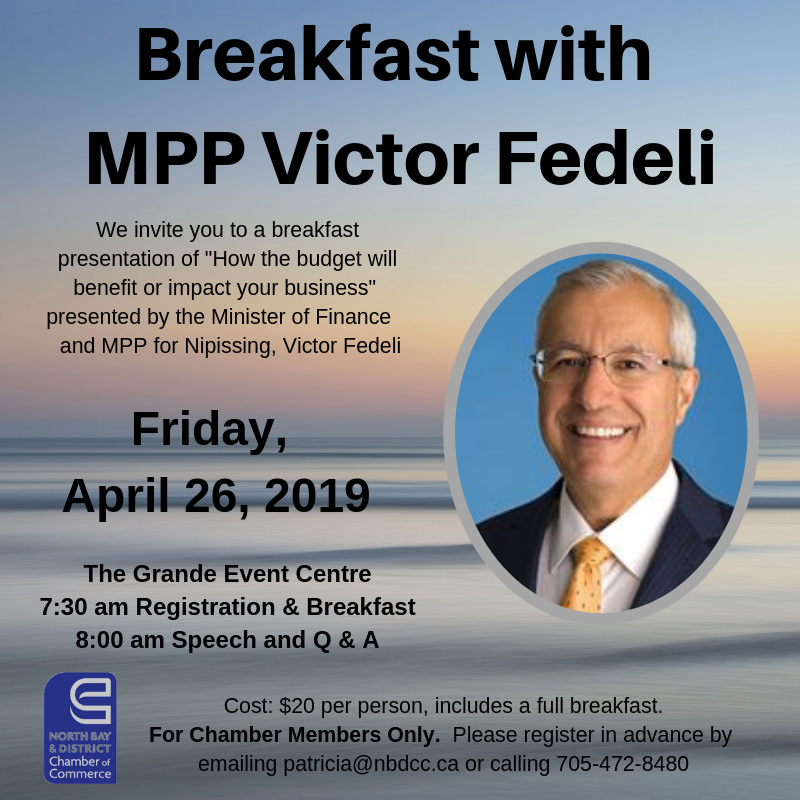 The Chamber is pleased to organize a breakfast with our MPP and Minister of Finance on Friday, April 26 for members to hear more details on what the budget means to businesses in our region and Northern Ontario. A special welcome to North Bay to Inspector Michael Dazé who will join the North Bay Police Service as Deputy Chief while the current deputy Scott Tod takes on his new role as Chief. We wish Chief Shawn Devine well in his new endeavours. 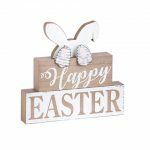 It was my pleasure to be your guest columnist last week and this week, so may I end off by wishing everyone a safe and happy Easter holiday. Mr. Chirico will be back with his Nugget column next week. We are now well into April, but for those that are tired of the snow like I am, there are a couple positive outcomes to this unusual winter. The Ski Hill has enjoyed a longer season that usual and was open this past weekend for those enthusiasts to get in a few late runs in the year. The snowmobile season was another great success with many travelers enjoying our trails well into last week. The ribbon cutting of the new North Bay Nurse Practitioner-Led Clinic (NBNPLC) expansion in downtown North Bay on Main Street East was celebrated last Friday. The clinic is an expansion from the current West Ferris clinic that received funding from the province to expand their services in the downtown core. The clinic will be open to the public in a few short weeks. To clinic director, Jaymie-Lynn and staff, congratulations on the new clinic. The clinic will be open Monday to Friday during daytime hours and will provide a team-based approach to health care for approximately 2,600 patients. To apply to become a patient visit their website at nbnplc.com or visit one of the two locations: 524 Lakeshore Drive or the new location at 179 Main Street East to pick up an application. I was quite surprised to hear the news of Joe Bradbury CAO of the District of Nipissing Social Services Administration Board (DNSSAB) leaving his position; but I wasn’t surprised that he was being gained by the Parry Sound Social Services. The Chamber has worked with Joe and his fantastic team at the DNSSAB for many years with a program called GetTrainedWorkers. I wish Joe and his family all the best in their future endeavors. 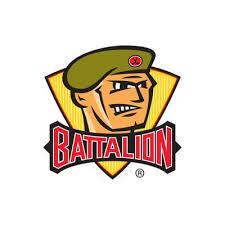 Thank you North Bay Battalion for a great season! Congratulations to the Coach Stan Butler and the North Bay Battalion for an entertaining 2018-19 season. Although the Battalion were eliminated on Friday night by the Niagara Ice Dogs, there were many highlights to the season, especially the play of Justin Brazeau and the season he has had. The team provided some great entertainment over this past long winter and to all those players who will be moving on this year, thank you for being part of the community and doing what you do both on and off the ice. There appears to be a good nucleus of young and talented players that will return next season and the Chamber hopes that the community will return for the next season and support our OHL team through next winter. With the winter we just experienced, it was a great way of getting out and making it through. Staying on hockey, another local team the Powassan Voodoo’s have eliminated the Kirkland Lake Gold Miners in the first round and will face Hearst Lumberjacks, in the East Division final. The route to the Dudley Hewitt will be a tough one but the Voodoo’s have some strong talent and have had great support from its fans, at the Powassan Sportsplex. Although our OHL club has been eliminated, there is still some entertaining and great NOJHL hockey to be seen as the Voodoo’s move forward on their run to the Dudley. If you still need a hockey fix, get down to Powassan and cheer them on in their quest. Good luck to the players, coaching staff and management for another great season and we will be following closely as the post season continues. 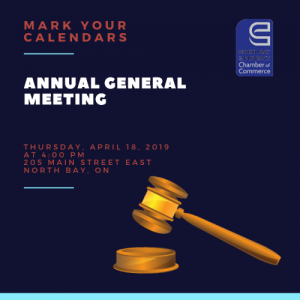 April 11, 2019 will be the date for the Province of Ontario’s budget speech by our new Provincial government and more specifically, MPP and Minister of Finance Vic Fedeli’s, first budget. I don’t think that anyone who has followed politics over the past few years will be surprised if this budget does not tackle a number of items that have been ignored, by past governments. How this government deals with the recurring deficits and growing debt load that has continued to accumulate, will set the tone for the next three years. The governments’ promise of being open for business and the reality of the fiscal position the Province has in front of itself, will be challenging to balance out. Having worked with Vic for many years, I have no doubt that he will tackle the difficult challenges facing his government and start to put this Province back on track. Just a note for all readers, the next two weeks will see Patti Carr, Vice President of Policy and Communications for the NBDCC, will be penning the Chamber article as I will be away on vacation. Look forward to reading Patti’s articles over the next few weeks. Congratulations to the WWCC Organizers and Go Troops Go! Last Wednesday in Ottawa, the City of North Bay and The Ford World Women’s Curling Championship (2018) event were centre stage at the Canadian Sports Tourism Association annual awards ceremony. Dave Bennett, Mark Brown and Rick Miller attended the event which recognizes various events and categories that are hosted throughout Canada each year. The North Bay curling event which captivated and energized our community, was up against two major cities for this prestigious award. Competing against North Bay were Vancouver, which hosted the 2018 Canadian Tire National Skating Championships and Edmonton, for hosting the 106th Grey Cup and 2018 Grey Cup Festival, in the category for events with budgets greater than $1 million. Pretty good company to be competing against and although North Bay did not take home first prize in this category, it certainly was a respectable runner up and put this area on the sports tourism map. Congratulations to the committee and volunteers for bringing out the best in this area and showing the world what we can do as a community, when we work together. Ottawa was a busy place last week with not only the CSTA awards but as well, the 2019 Federal Budget speech by Finance Minister Bill Morneau. The 2019 budget contains approximately Twenty-Two Billion Dollars in new spending over the next 6 years and beyond, with dollars being allocated to a number of programs spread across many sectors of our economy. Many budget analysists have called this budget “a pre-election budget” given the levels of spending announced and the fact that the present government seems to have failed to address previous budget promises for a balanced budget, by 2019. From a Chamber and business perspective, the spending is a great stimulus to many municipalities through the doubling of the Gas Tax, however it falls short of the promised tax reforms to ensure competitiveness. When we talk about tax reform and competitiveness, it is important to look at the ‘why” this issue is important. With the Federal and Provincial combined tax rates losing ground to our direct competition south of the border given the recent reductions in combined tax rates in the US. This is especially troubling in border states where competition between Canada and the US is high. These reductions have made Canada/Ontario less competitive in the North American market and less attractive for investment in our country. It will be interesting to see what measures will be tabled in the Provincial Budget on April 11 regarding business taxes, as being “Open for Business” will surely need some relief for that community. The Federal budget missed that opportunity and it will need to be dealt with soon, if we are to remain competitive. Congratulations are in order for the North Bay Battalion and New Liskeard’s, Justin Brazeau for his accomplishments this season. The club has made the playoff’s and are in good position to make an impact on the Niagara Ice Dogs as demonstrated on the weekend, with a convincing win on Saturday night. Brazeau and crew will be returning home tonight for the third game of the series with each side, taking a win in what is shaping up to be some excellent hockey. If you want to see some great hockey, get a ticket, pack the arena and be that “seventh man” at the Gardens tonight and Thursday night. The month of March is flying by and the first signs of spring have begun to show. The temperature fluctuations over the past couple of weeks, although welcome after this long winter have made it challenging for getting around this region. Many thanks to all the municipal maintenance crews for trying to keep up with the road and sidewalk maintenance and keep us moving. It has not been an easy task. Earlier this month, The Chamber along with numerous community partners, were invited to attend a round table discussion with MP Matt DeCourcey, Parliamentary Secretary to Canada’s Immigration Minister and MP Anthony Rota. The groups were asked to provide the community input on how immigration into this region, is important for our future. The Parliamentary Secretary provided his experience with a prior successful pilot project, that took on the east coast. The visit was timely given the application for a similar pilot project, which was previously announced by the Federal Government. The project is open to applications for rural and northern regions throughout the country and it is expected to be a highly sought-after program. Declining populations and difficulties in attracting specific professional and trade designations, are a few of the issues facing Northern Ontario and this area as well. 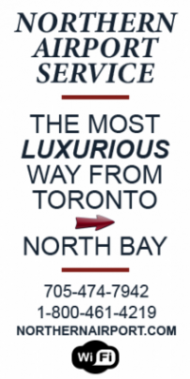 Patti Carr, Vice President of Policy and Communications co-ordinated the application with Erin Richmond, Manager of the Economic Development and her team, with the City of North Bay. Great team effort and thanks to the many stakeholders who provided input and support. A tremendous amount of time and effort was put into this application within a very limited period, given the short application timeline that was provided. It was important enough for the future of this area, that it was an “all hands-on deck” attitude from the many partners that see this as an integral part of our future success. From the education sector, the health care sector and the business community, the need for this type of project is essential. The ability for this region to hold its own against other regions, maintain its population and grow, we need this program as an additional tool for future economic development. Most of the groups that met with MP’s Rota and DeCourcey provided feed back to them that supported this integrated approach. The Chamber will continue to support, collaborate and innovate when it comes to these types of initiatives that have potential to expand this region’s capacity and to grow our business community. Except for our indigenous communities across this continent, we are all immigrants to this country. Immigration is not a new concept and the past century is evident to that. Opportunities, possibilities, and new starts, through immigration have existed for past generations and have proved to work as evidenced by our existing communities and infrastructures. History has a way of repeating itself and we hope that our application for this pilot is successful, as we look to grow a strong future. The loss of an hour of sleep on the weekend is almost welcome as it signals one more sure sign, that spring is right around the corner. Saturday was a spectacular day with what seems, the first spring like day in a long time. There is no telling how quickly this is going to turn from our winter wonderland to the first signs of flowers and green grass but as with everything, it will be a transition period and a very welcome one. There is no doubt that many of our streets will be small lakes and rivers over the next month and the annual clean up will begin. 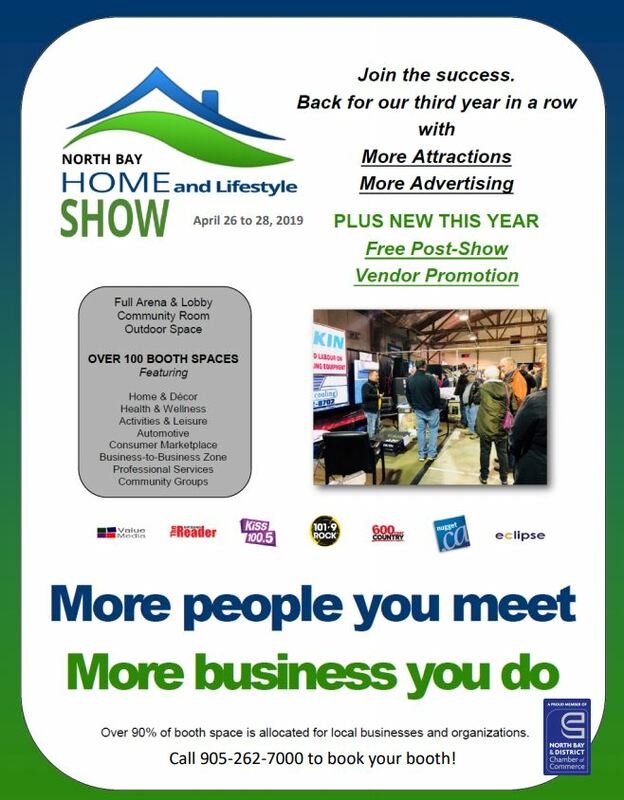 This year, the North Bay & District Chamber of Commerce has been working with several local groups that include The Heritage Gardeners, Downtown Improvement Association, City of North Bay, RFP Media plus a few community minded individuals to improve the appearance of our community. As plans are firmed up over the next month, it is the intention of the group, to announce its plans which will enhance the beauty of our community, through the engagement of the entire community. One doesn’t have to look beyond the waterfront to see what a community can do and has done. How is this going to be done? First you must ask the proverbial question “How do you eat an elephant? One bite at a time!” As plans are laid out, it will become apparent how a grass roots movement that was formed many years ago, took on a project (the waterfront) and it has become the pride of our community and of many others. The Heritage Gardeners have shown this community how a positive group can influence how we and others feel about our community. Without being to specific on the details, lets start warming up the Civic pride and get ready to help shape our community into the next decade. Our downtown core had an out of town visitor drop in last Friday and will be here until this coming weekend. Mr. Paul Tavares has been visiting our community and 12 other communities, on his “90 Days and Nights in the Cold” tour. Paul is camping out on the streets in each of these communities across the Province, in hopes of raising both awareness and funds to support persons that are homeless in our country. All funds and any type of donation to Paul and this cause, will stay local and be put to many different agencies within our area, who assist persons in need. This community has always been a caring and very generous community and it is hoped that all can assist Paul, in his quest. Drop by and have a chat with Paul, he is a very engaging and personable fellow, with quite a story to tell. Take some time over the next few days and have a visit with Paul on Main Street beside the Nipissing District Housing Authority building/walkway. 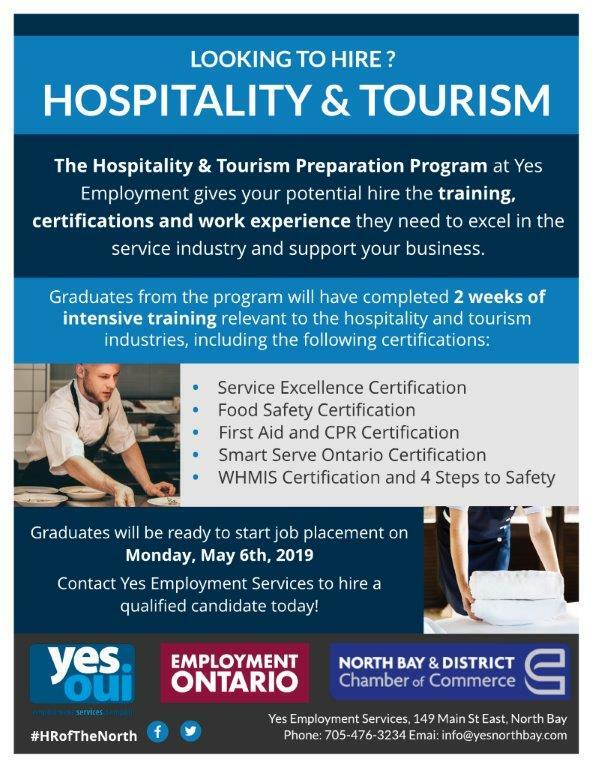 Thanks to all that support but special thanks to Mike Campigotto/Joe Bradbury/DNSSAB/Housing Authority/City of North Bay and staff/gd2go, for making this possible.